If you are looking to keep fish in your home for the first time, here you can find some of the key factors to being a successful fish keeper and how to avoid the pitfalls that can put some people off this extremely rewarding hobby. With the right care, fish make great pets. 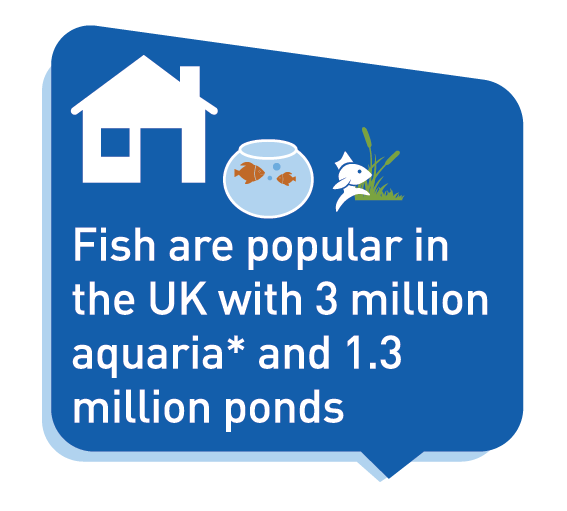 The food you feed your fish is the single most important thing you can do for its health, happiness and wellbeing, so understanding fish food is essential for a responsible owner. 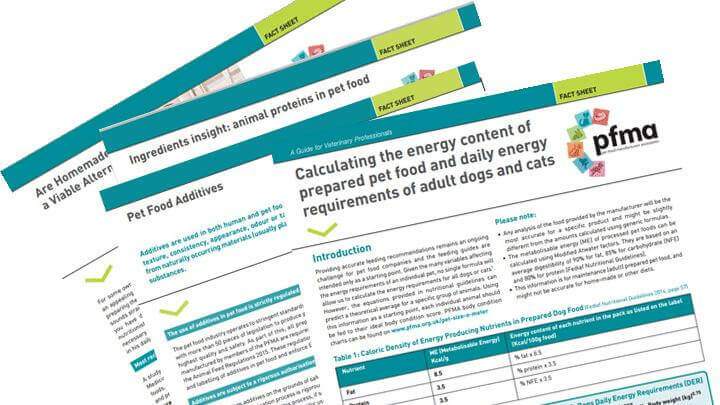 Here you can read all about Fish Food and a fish’s Nutritional Needs. You can also read our tips on maintaining a healthy home. Coldwater Fish consist mainly of Goldfish species and tend to be the hardiest fish which makes them ideal for beginners. Tropical freshwater fish are the most diverse category in the aquarium industry. These fish are warm water species. They tend to be colourful and in a Tropical Freshwater aquarium you can keep a variety of species in the same tank subject to compatibility. The best set up for beginners in this category is the “community tank” this is a mixture of small colourful species that are relatively hardy. Finally the Marine category is not traditionally one that has been associated with beginners but with advances in filtration and aquarium technology it is accessible for those with the commitment and budget. Marine aquariums are also warm water and can consist of fish only and there is a wide variety of very colourful species, or the other option is the reef aquarium which has a mix of fish and invertebrates such as fish and corals, but again you should start with hardy species. 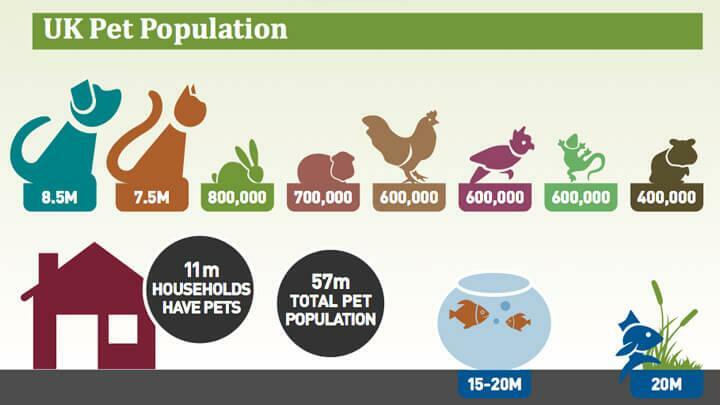 The pet population stands at around 57 million with 11m households owning a pet. Data details populations by pet type.